Like winterizing refers to the process of preparing your car for winter, summerizing is the term used to describe the steps necessary to prep your vehicle for the summer. You can start prepping your automobile for even warmer temperatures by testing your air conditioning. Turn on your vehicle and A/C system and put your hand in front of a vent to make sure your system is still blowing cold air. Even if your air conditioning is blowing cool air, you’re not done checking your system. Now, you have to listen for any strange noises which may indicate there’s a problem. If you notice an odd smell when your air conditioning is on, it may also be a sign that you have an issue with your air conditioning. Checking your brakes is also part of the summerizing process. If you don’t know how to tell if your brakes need to be replaced, you should refer to your owner’s manual for guidelines or ask one of our experts. 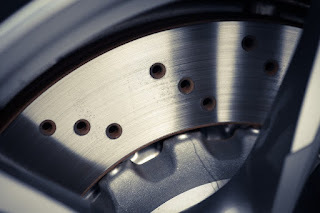 If you’ve already noticed some of the signs that your need new brakes, such as your car needing a longer distance to stop, vibrations in your brake pedal, or screeching in your wheel wells, definitely bring your car into our Toyota service center near Los Angeles, CA. Having our factory-trained technicians inspect your car is another part of the summerizing process because it will reveal any issues that must be addressed and give you peace of mind. Schedule a vehicle inspection at Keyes Toyota today.